Hey Rosetta!, Jenn Grant, Fortunate Ones, and City Natives are among the initial performers announced for the 2016 East Coast Music Awards Gala. The gala, co-hosted by Ashley MacIsaac and Heather Rankin, takes place on Thursday, April 14 at Centre 200 in Sydney, NS and will be broadcast live on Eastlink TV. The evening will also feature a special tribute to the late Ron Hynes. A heralded singer and songwriter from Prince Edward Island, Jenn Grant has been touring steadily around the globe in support of her JUNO nominated album, Compostela. Teetering on psychedelic folk and staying true to her intricate melodic storytelling, the album is full of lush and adventurous offerings. Newfoundland-based folk-pop duo Fortunate Ones endear audiences with wide-eyed energy, pragmatic optimism, and an earnest mission for connection. Their debut album, The Bliss, released on JUNO Award-winning songwriter Rose Cousins’ record label Old Farm Pony Records, features two songs that hit #1 on CBC Radio 2’s Top 20 and took home the 2015 Canadian Folk Music Award for Vocal Group of the Year. With members from New Brunswick and Nova Scotia, City Natives combine their cross-provincial talents to create a sound “reminiscent of Los Angeles’ grittier hip-hop, easily mainstream and full of the ego and heavy bass lines that make great rap” (Polymic). 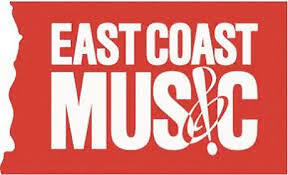 Their album Red City earned the group the 2015 East Coast Music Award for Aboriginal Recording of the Year. Early bird Gala tickets, early bird wristbands, and early bird festival passes are on sale until December 24 at http://ecma.com/festival/tickets. For a limited time, Gala tickets are $39.50, wristbands are $65, and festival passes are $160. VIP Passes are also on sale for $350. All prices include tax and fees. Award nominees and initial showcasing artists will be announced on Tuesday, January 26 at 11:00am. The announcement takes place in the Membertou Trade and Convention Centre in Sydney, NS.